At the end of 2011, Instagram, the mobile social network where you can share edit, share photos and follow friends and brands streams was named the number one application by Apple. With 15 million users, it is set to be the fastest growing social network, surpassing Facebook, Twitter and Foursquare. That’s quite the statistic for an app that is just over a year old. Like Foursquare, Instagram is a mobile based network. Using the app means using it solely on your smart phone (and currently, only if you’re an iPhone user. Although, plans to release an Android app are in the works). With new social networks popping up every few months (didn’t everyone just decide to give Google+ a shot? ), it’s hard to wrap your head around joining yet another network. Instagram, however, really is one of the next big things in social sharing. Where Facebook initially began as a network to connect with your friends, Instagram is solely a network about sharing. Brands should start thinking about how they can build Instagram into their digital marketing campaigns. News agencies like CNN and CBS News, designers and stores like Bergdorf Goodman, Kate Spade and Gucci already have a strong Instagram following. Redbull and Nike have also integrated the network into their strategy and General Electric recently held a contest for the “Next GE Instgrapher.” You can view the photos of the hashtag #GEInspiredMe on Statigr.am. A photograph has the ability to capture something that words can’t and now brands have the opportunity to take their digital marketing to a more visual level. Giving customers the chance to see an inside look into a brand, such as a typical day inside a business or how a product is made allows customers to feel connected to the brand in a different, more personal way. Allowing the same customers to share their opinions on photos of products, or share them using a company’s product gives customers the chance to express their feelings towards a product through a creative outlet. Similar to Twitter, Instagram uses hashtags to categorize photographs. Brands can use hashtags in connection to a specific campaign or contest, or Kate Spade uses a hashtag (#popofcolor) regularly to identify posts about their brand. 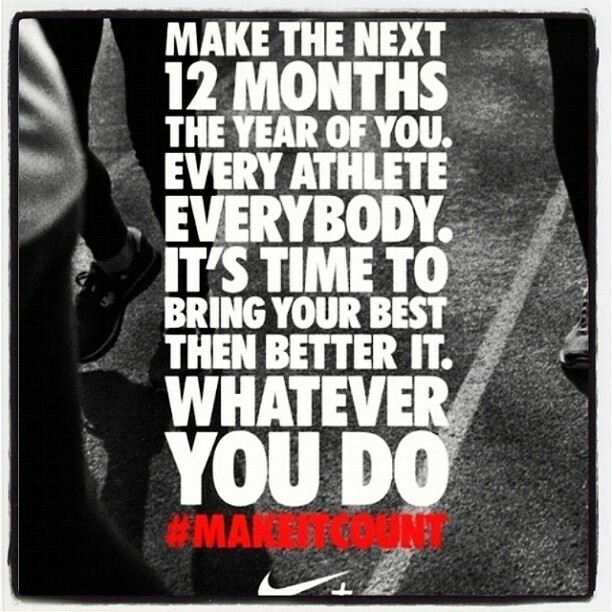 Nike launched a campaign at the start of 2012 asking fans to photograph how they plan on making 2012 count. #MakeItCount has nearly 2,000 photographs in just a couple of weeks. Hashtags are a filter people are already familiar with, and an easy way to track mentions of your brand. Unsure of how your brand can integrate a photo based program into your digital marketing? Do you have products to sell (like Nike) or an image to build (like President Obama)? Perhaps you want to engage your fans in a different way, or rebuild a loyalty program? Brands can use Instgram to give insight into a company, let users show off how they use a brand’s products, or enhance a loyalty program. Possible aspects of such program could include sending a photograph of a receipt or while inside the store. A campaign giving users a visiual of how a new product is made and allowing them to give their insight along the way would allow customers to feel connected to the brand. For more information on how your brand can begin to implement your brand into Instagram, we welcome you to contact us here at Direct Message Lab. Learn about how Instagram is changing social mobile sharing, and what brands have already launched Instagram campaigns by downloading our white paper on here. Check out how some of the most prominent brands on this list. You are currently reading Instagram and the Future of Mobile Social Photo Sharing at Direct Message Lab.